Do I Have to Hide My Tattoos If I Want to Be a Pet Sitter? To answer this question about tattoos, let me preface it by saying professional etiquette is of utmost importance. 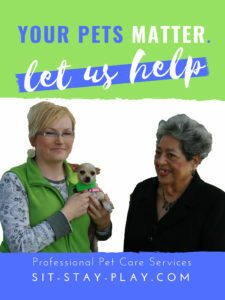 Avoiding huge mistakes, before, during and after the interview is crucial if you want to work with sit-stay-play In-home pet sitting & more.LLC. I’m all about giving 2nd chances but when applying for a job, the old phrase, “You only get one chance to make a first impression,” applies. Regardless of what position you’re seeking with this company, I look at everything from timeliness to responding to emails or voice mail messages, your ability to follow directions, your handwriting, the way you answer interview questions, the car you drive, the clothes you wear, the cleanliness of your fingernails and your overall appearance. Our pet care providers are in public view 24/7 and you’re representing my company. Ensuring that our image is presented appropriately is important. You might be meeting with new pet sitting clients or working an event we host and again, appearance is important. Have you seen Jackson Galaxy? 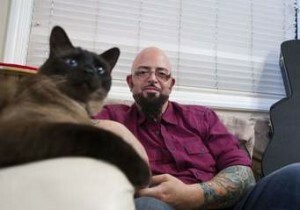 The star of My Cat from Hell? He has tattoos (even though he’s not a cat sitter, that I know of) and so do tons of pet sitters, cat sitters and dog walkers. Being tatted up is a beautiful thing, but remember, beauty lies in the eye of the beholder. Since our job requires us to go into homes in Muncie neighborhoods and professional businesses in Anderson, Fishers and Carmel, having a tattoo that says, “F*ck the Police!” , ” Nazi’s Rule” or anything really derogatory against a particular religion, ethnicity or people group could be pretty distasteful. Along those lines, pictures of naked bodies, swastikas or anything that is on your body to cause a negative emotion, well, that might call for a little creative cover-up. If you have a picture of a dog on a noose, hanging in a tree, I don’t think that sets the right kind of tone as a pet sitter, do you? I understand and support freedom of religion, of free speech and our ability to ink up our bodies any way we see fit. Abiding by the laws and staying within my rights as a business owner and free citizen is important. But when it comes to working in certain professions or with certain customers, that depiction of a severed head complete with knife with blood might give our customers a fright and that my friend, is something I have to think about. Tats, Are They Worth Losing A Career Over? So, bare your tats and wear them with pride because you can! Just remember what position you’re applying for, whether that’s with my company or that Fortune 500 company you’ve had your eye on since grad school. The job and skill set required might prohibit you from getting the sleeve you want. The ramifications that come along with baring ink on your neck, cheek or that little one below one of your eyes could cost you a career? Is it worth it? One good thing, the pets we take care of won’t care! As long as you give them love, feed them, play with them and give them what they need, they’re happy campers. People, on the other hand, might turn their nose up or hire someone else. As a business owner, finding dependable, qualified staff in Muncie, Anderson and Indianapolis is critical. Having clients rave about our services is my #1 priority. 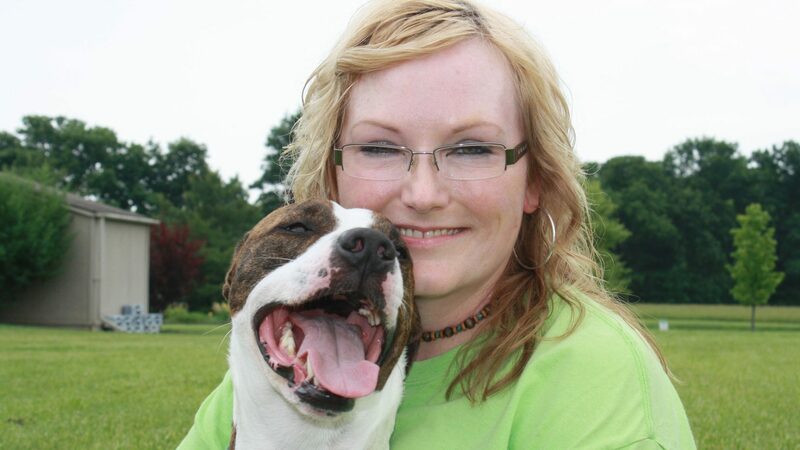 I’m willing to consider anyone that has the skillset I’m looking for to join my team of pet care providers. Hop on over to this link to learn more about our employment opportunities. P.S. 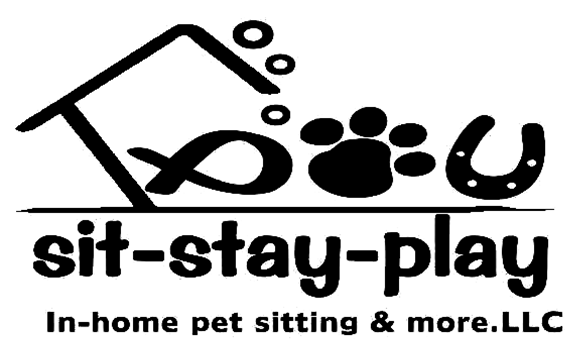 Click this link if you want to apply to be a pet sitter or dog walker with sit-stay-play.